This Velvet stocking features Skating snowman enjoying the newly frozen pond having winter fun. Personalized with embroidered name just for you or your kids! 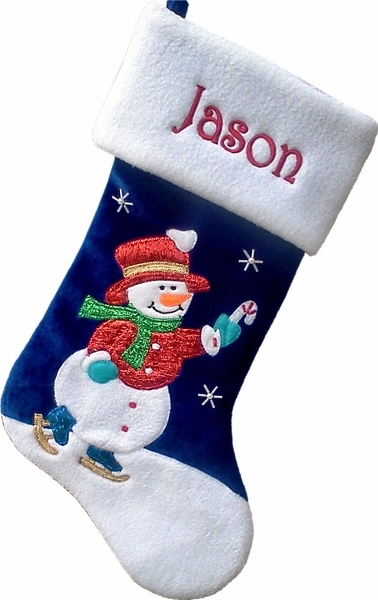 Materials: The stocking is made of blue, red and green velvet. Lining: YES. This stocking is lined inside with polyester.